Play these Flash or HTML5 based online slot machine games provided by Cayetano Gaming at Top Free Slots. No download required to play the games - just click on the image and wait for the game to be loaded in your browser window. You can play all these Cayetano Gaming Slots for free or try your luck for real money at sponsored online casinos. You can play classic slots or 5 reel video slots with multiple lines of payout, exciting bonus features, and wild and scatter symbols to increase your winning potential. 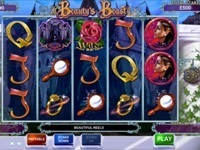 The wonderful fairy tale of Beauty and the Beast comes alive and you have the chance to benefit from this riveting tale of love with big prizes in the 243 Ways to Win Beauty's Beast slot machine by Cayetano Gaming. The Rose is.. 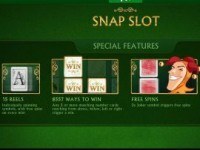 Snap sot machine is unique game with the record number of reels and "paylines" - you have 15 reels and 8557 ways to win on each spin! Any 3 same number cards connecting trigger a win AND additional free spins. 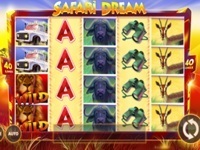 There are..
Safari Dream is a 5-reel, 5x3 row, 20-payline slot machine game with the Instant Win Bonus, wild Lions, Deep Stacked Symbols and free spins with up to x5 win multiplier. Hear the lion ROAR! All 5 reels are comprise Deep.. 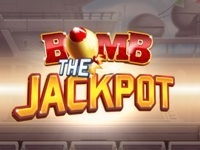 Bomb the Jackpot is the new Cayetano Gaming's 5-reel, 20-payline slot game with 2 bonus features and 5 random progressive jackpots. The bet size is fixed at $/£2.00 per spin. 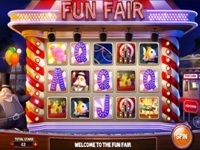 Bomb and win one of 5 progressive..
Fun Fair is a fantastic 20-payline slot machine game with peppy fair music, incredible graphics and 6 bonus games including the free spins round and 5 fair games that pay out big rewards. Get 3 or more Hosts on the.. Try your luck in the new 40-payline Devil Belles slot machine from Cayetano Gaming, featuring 100-paylines in the ultra rewarding free spins round! 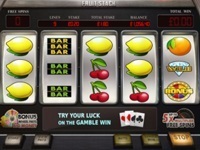 The game boasts some really spectacular graphics and takes you down to..
Fruit Stack is a Fruity 5-reel, 9-payline slot machine with the Bonus Wheel feature, gamble feature and free spins with up to 5x payout multiliers. If 3 Bonus Wheel symbols appear anywhere on the reels the Bonus Wheel..
Egyptian Wilds is an ancient Egypt themed, 5-reel, 5x3 row, 10-payline slot machine game with the Sticky Wild Symbols and free spins bonus. Ruby Walsh Chanpion's Gold is the new Cayetano Gaming's 5-reel, 20-payline slot game with 3 bonus features, random bonuses and free spins. 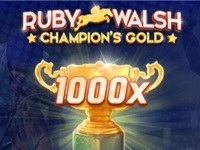 In the GOLD CUP RACE let Ruby win the BIG RACE for you. There are 6 stake..
Everyone has heard of a fairy tale about a little young girl and a big bad wolf. In this slot machine game the big bad wolf is a good thing to see on your reels since he can help you win big. 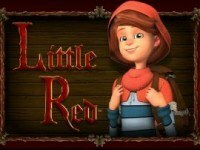 The Little Red Riding Hood..
Tumble Dwaft is a Fairy Tale inspired, 5-reel, 20-payline slot machine game with the Tumbling Wins Free Spins Bonus, Potion Cabinet Free Spins Bonus and other random bonuses, re-spins and magic wins! Some of your wins..
Easter Money is a 5-reel, 20-payline slot machine game from Cayetano Gaming. The slot offers 3 bonus features on your choice and up to 25 free spins award. 3x Bonus symbols on reels 1, 3 and 5 give an option to play 1..
Paddy Power Gold is an Irish-themed 5-reel, 20-payline slot machine with the Rainbow Trail Bonus, 3 random bonuses on your choice and free spins. 2x scatters on reels 1 and 3 plus the Horse Racing Bonus symbol on reel 5..
Fruit Stack Deluxe is Cayetano Gaming's, fruity 5-reel, 5x3 row, 20-payline slot machine game with the Wheel Bonus, 2 wild symbols, gamble feature and free spins with up to x30 win multiplier! 3x or more Free Spins..
Bullfight is a 5-reel, 10-payline slot machine game with the Bullfighter Wild symbol, BULL’S LUCKY NUDGES feature and free spins with up to 5x payout multiplier. The Bullfighter apears in Free Spins to multiply your win..
Rhino Rumble is a jungle animals themed, 5-reel, 5x3 row, 20-payline slot machine with the Rumble Bonus game, wilds, Mystery symbols and unlimited free spins. In the Rumble Bonus game you'll pick a box to win a prize..
Wild Sheriff is a Wild West themed, 5-reel, 5x3 row, 20-payline slot machine game with the Sheriff's Wild Shots bonus, gamble feature and free spins with double payouts. Sometimes the reels go crazy! 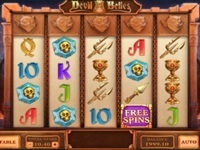 The Wild Sheriff..
Dragons Wild is a 10 payline slot machine developed by Cayetano Gaming. rr This is the Cayetano Gaming's 5-reel,Â 3-rowÂ classic video game with 10 fixedÂ paylines. This machine depicts the time of dragons and..
Asian Riches slot machine offers unique a match ringing unfamiliar playing system. In usual slots, a player has to match 3 or more symbols on preset payline in order to win. 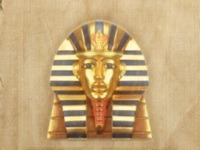 However, here the things are a bit different..
Mayan Mystery is a 10 payline online slot machine from Cayetano Gaming. rr Mysteries of our predecessors and ancient times were always interesting, with a unique turn on old American cultures. The most..